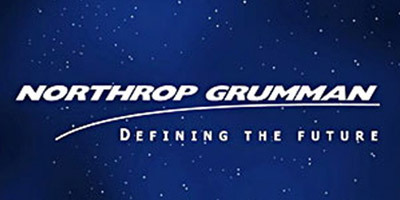 Northrop-Grumman is one of the world’s largest defense contractors. The company operates multiple hosts in many different data center and workgroup environments. When the company, based in Los Angeles, CA decided that they needed to integrate multiple systems on multiple platforms, they contacted INFINITE Corporation. Northrop was seeking to extend their mainframe and midrange-based legacy applications by making them graphical and accessible via the web. The plan had originally been merely to provide browser-based accessibility for users in order to alleviate expensive data lines. The cost to maintain point-to-point lines was extremely high. Northrop-Grumman’s IT infrastructure provides a series of custom-designed and customized off-the-shelf software packages that are accessed by thousands of users from multiple data centers and work groups throughout North America. In order to alleviate data lines we sought a vendor that could provide graphical, browser-based access to our legacy applications. Considering the nature of our business, security was a top priority. As we began to research the various options, it became evident to us that some of the newer technology that was available in this area would also allow us to integrate some of our legacy applications with each other and desktop applications, as well. Our new goal became the ability to provide graphical browser access to any and all of our legacy systems and the ability to link them to our users in ways that would be user-transparent. What is the time to create graphical elements? How easy is it to build integration capabilities from application to application? What is the scalability of the architecture? We developed our graphical screen design to create a simplistic approach to our various legacy screens. The plan needed to incorporate all of the crucial elements of all the systems in order to create standardized design elements for all the soon-to-be integrated systems. Once we had our criteria in place, the team at INFINITE Corporation created the scripts and we brought them back in house to test. The greatest effort was spent on the set-up of the IIS server farm that would allow the users concurrent access to multiple legacy systems. We were greatly influenced by the fact that baby.NET provided a highly secure three-tier structure. We were impressed with the speed of the throughput and the scalability of the product. Once we decided to sign with INFINITE Corporation, it was installed on our data center in one afternoon. We then set up the IIS environment and loaded the tested scripts and went into testing from web-based users. Throughout the next several weeks, we integrated the other legacy applications and desktop applications. The services and support teams from INFINITE Corporation were creative and helpful. After installing baby.NET we have alleviated the costs of data lines and we can provide thousands of concurrent users access to our systems.